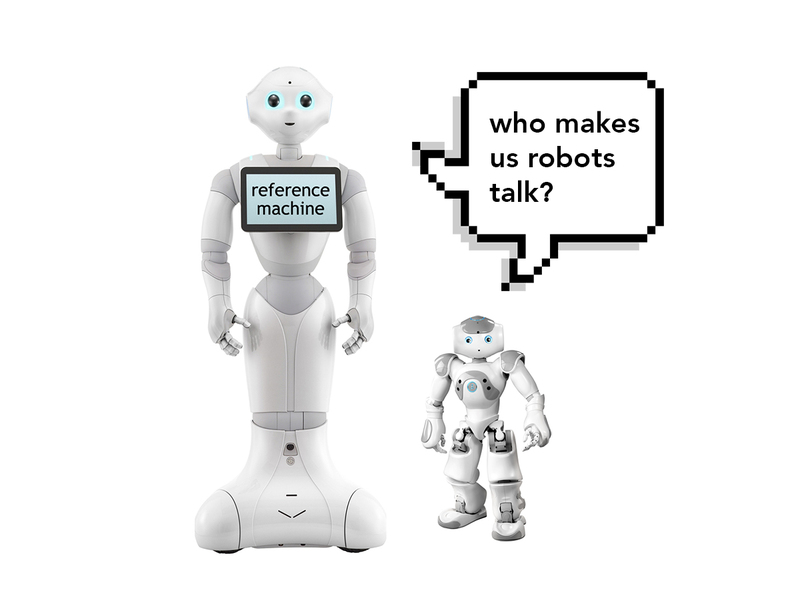 Who makes our robots talk? Who takes up this challenge and the exciting opportunity to work in an inspiring research group that is among the best in the world in the area of natural language understanding? Spinoza prize winner Prof. dr. Piek Vossen has the honour to invite you to apply for the position of University Research Fellow for the academic year 2017-2018. As a University Research Fellow, you work for one year one day a week on a prestigious research project within the research group of Prof. Vossen: the Computational Lexicology and Terminology Lab (CLTL). Humanoid robots: Pepper by Aldebaran Robotics and SoftBank, and NAO by Aldebaran Robotics. We recently bought a robot and now want to you to plugin our natural language processing technology so that the robot can respond to people in an intelligent way. If you are a wise girl or wise guy and you are interested in Artificial Intelligence, Natural Language Processing and robotics, then you are the perfect candidate to turn our robots into wise bots. You will work with a real Pepper or NAO robot. The programming environment is Choregraphe and some programming skills in Python are recommended. As an URF, you will have the chance to publish a paper and attend a conference. It is also an honorable position that looks great on your CV. You will work with PhDs and PostDocs that do exciting work in the area of natural language understanding. There is an opportunity to present a talking robot at the Weekend of Science (“Weekend van de Wetenschap”) to a general audience and basic school kids in October and your robot can be present with you at the opening of the new Computer Science building in 2018. When you win the prize your activities will be funded for one day a week for one year starting September 2017. Piek Vossen appointed Pia Sommerauer as VU Fellow for the 2016-2017 academic year. Piek Vossen appointed Soufyan Belkaid as VU Fellow for the 2015-2016 academic year. Piek Vossen appointed Chantal van Son as VU Fellow for the 2014-2015 academic year.